Ah! Nice! Gentle yet complex sounds. May your new year be filled with fresh mangosteens that emerge from a wormhole to Thailand. I'LL KILL YOU ALL FOR A BLURRY PICTURE OF A MANGOSTEEN. with my cat o' nine durians. Hugo, a lot of us are on the wrong side. Hence my wish for a windfall wormhole providing a gateway through the space-time continuum to SE Asia for fruit to pass through. And Angela is right. Mangosteen beats all other fruits. easy with the jackfruits, tho. unless you wanna slide a pipe snake up your wormhole. jackfruit has a nice mild taste when I'm taking a break from mangosteen. but don't stand under one with your mouth open. 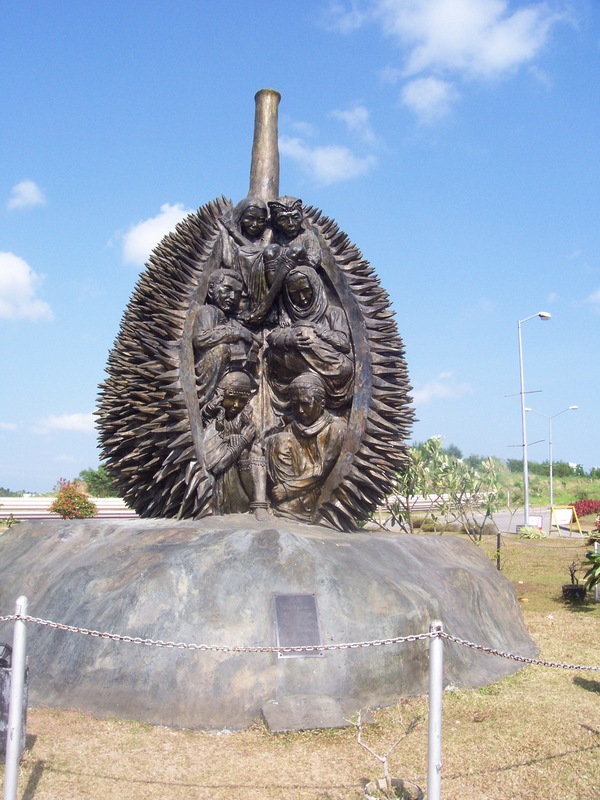 Ike, for the locals of SE Asia, nothing beats the durian, even though it's the most expensive of all fruits. But it does take an effort to convert the Westerner. SE Asian bananas are priceless, however, qualitatively speaking. Bryce has the most RADDEST show on the planet!! 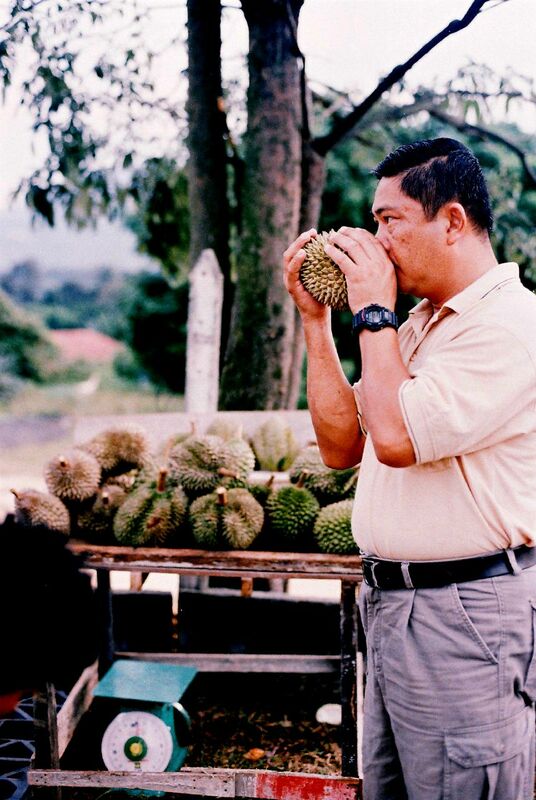 Hugo, I like durian too. Just not as much as mangosteen. I don't mind the durian smell, and the texture is fantastically custardy. The awesomely-shirted one raises an interesting question: Do space-time wormholes ever need to be cleaned out with intergalactic pipe snakes? i like durian too. Sometimes people get it's appearance mixed up with the jackfruit. But like you said, the smell makes it obvious that it is durian. i meant "its" not "it's." sorry about that. Hello Bryce. Gamelon music is good. I especially enjoyed the last half hour. I like Jakarta. Do you like Jakarta? Keep doing a good show. Cool set! I picked up a great CD in Bali, I think it was called "Degung" or something like that. It's a bit trippier than this stuff. I will try to make a copy for you, Bryce. Also, please do a blog post about the Kauffman press conference. We want a Bryce marathon premium marathon premium marathon premium marathon premium marathon premium. Premium. Maybe an MP3CD filled with long trippy gamelan pieces? Well, get crackin' then! NOW, hippie!